Please click on the picture of the City Map to open the detailed PDF file! Use the text search function of your PDF file viewer to search for streets and places. 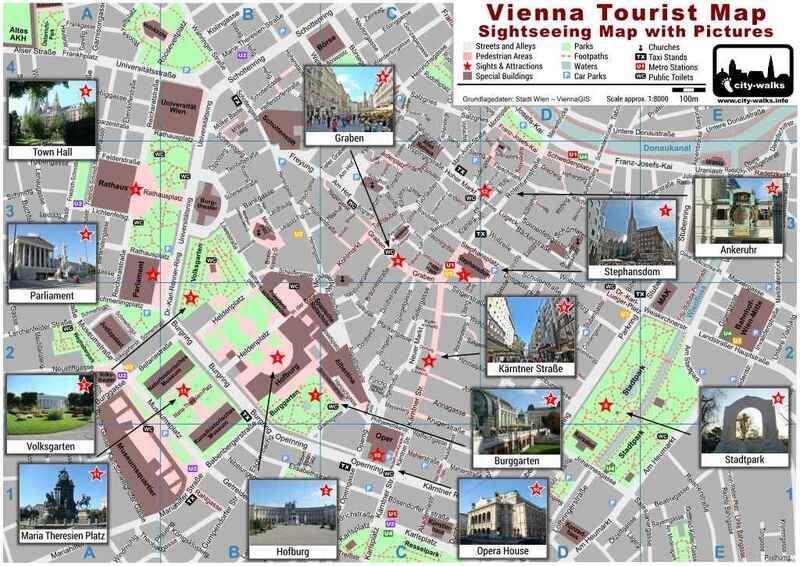 The Vienna City Map with pictures gives you a fast optical overview of the most important sights in the city center of Vienna. With this help it is very easy to choose which places you like to visit. At the PDF file it is also possible to search for streets, places and buildings. Just use the text search function of your PDF File Viewer. 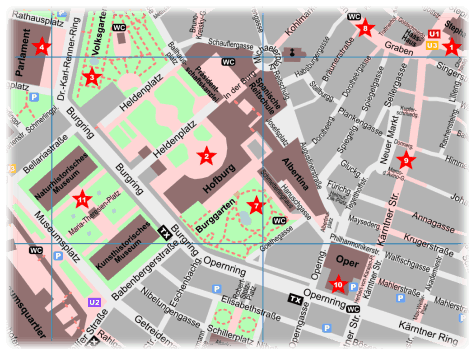 If you don't want to miss a detail of the city center of Vienna, please have a look at the -Vienna Map without Pictures-. At this version you don't have any pictures of the sights on the map and due to that you can see all the streets and alleys for a better orientation. Just click on the preview image to open this version.